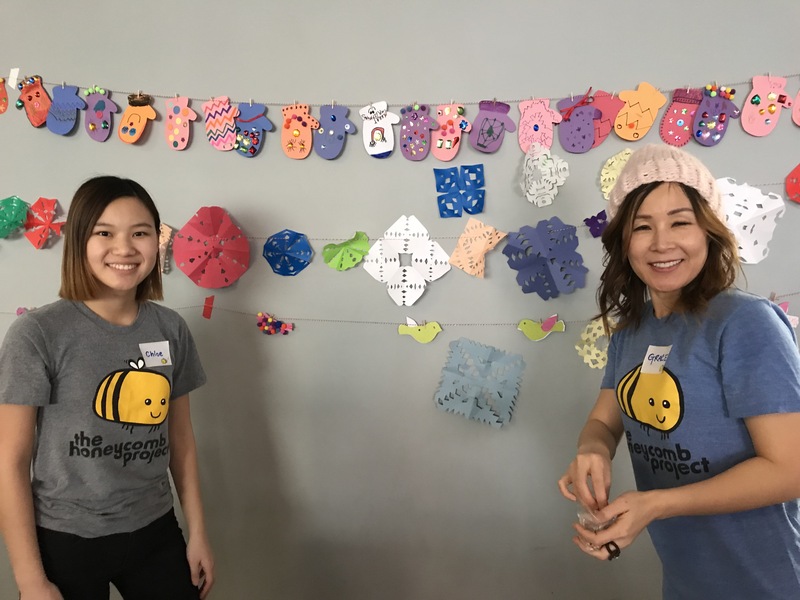 Grace and Henry’s children, Chloe (age 17) and Hoon (age 14) have loved volunteering with Honeycomb since the organization started. Their favorites include the arts and crafts projects and creating care packages for veterans overseas and packages for the children at Lurie Children’s Hospital. “Something just wasn’t sitting right,” Grace says. “So a couple years ago, I began supporting the Project Leaders at Honeycomb volunteer projects.” Grace continued in Honeycomb’s training and orientation programs to support the staff at various events. In addition, she served on the Fall Fundraiser Committee, helping to raise over $125,000 for Honeycomb last November. Most recently, Chloe was invited by The Honeycomb Project, to present at the National Conference on Service Learning in Minnesota in March. She attended workshops and presented during Honeycomb’s Workshop to others. Grace works at a pharmacist and her husband Henry is a cardiologist. Chloe enjoys playing the piano, making clothing and jewelry and is a team captain on her ultimate Frisbee team. Hoon enjoys playing water polo and math and science. The Shin Family loves to travel together.